complete book-length novel, a two-part novel and exciting short stories. show familiar scenes of nature and wild-life the real sportsman knows and loves. 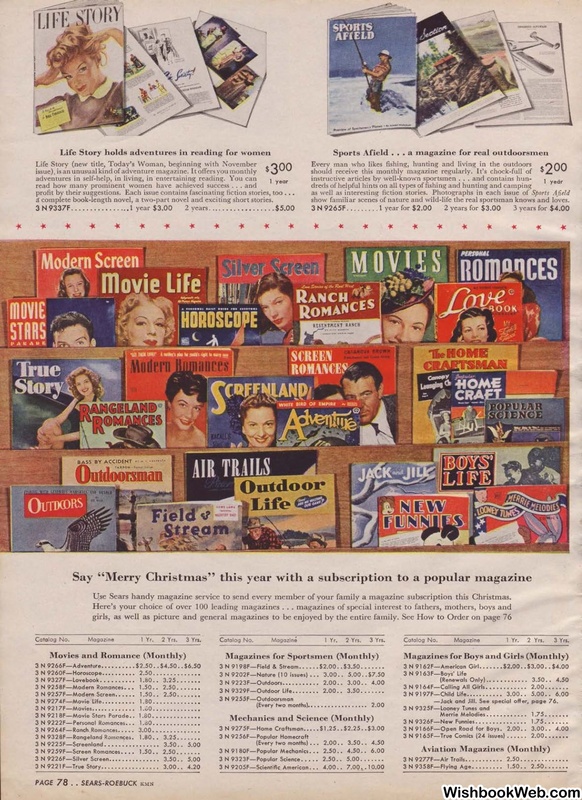 U:se Sears handy magazine service to send every member of your family a magazine subscription this Christmas. 3 N 9327F-Lovebook .......... 1.80 .. 3.25 ...... .
See special offer, page 76. 3 N 9326F-New Funnies ............... 1.75 ..... ..